Business email hosting has become a great tool for establishing brand identity as well as its credibility. This article explains what is business email hosting and how a company, organization or even a website can get benefits ofbusiness email hosting. Despite the growth of new media like digital or social media, emails still remain one of the most important ways of business communications. Businesses send thousands of mails to perform their crucial business functions. Despite the utility of business emails, there are still many organizations using free email hosting services like Gmail, Hotmail, or Yahoo for their business. However, these email accounts provide them with such email ID that are suffixed with the extension indicating towards free email hosting service providers and does not give them the advantages of professional email ID. For this, they need to get business email hosting. ◈ Communication made more Professional: Using business emails will make your business communication more professional be it an internal communication with your employees or externally with your customers or stakeholders. Sending a business proposal to your prospective customer through free email account will sound too unprofessional, and is very unlikely to create an impact. On the other hand, a similar proposal sent from your business mail address looks more professional and convincing. ◈ Trust: As discussed above, a business email account is trusted more than a free mail account by the customers. A professional email account is always associated with a domain name which is your company’s business domain name on which your primary website is hosted. Any customer wishing to know more about your services can easily recognize your website address. This helps tremendously in gaining your customers. On the other hand, any anonymous mail sent through a free email account gives no option to the customer to check your company details, decreasing the trust factor substantially. ◈ Cost Effective: An email account costs nothing in comparison to the benefits you get from them. Many businesses consider investing in business emails as a wasteful expense. However, once they start using the mails, and see the benefits, they realize the true value for their money. ◈ Storage Space: Most service providers provide customized storage space to their customers. 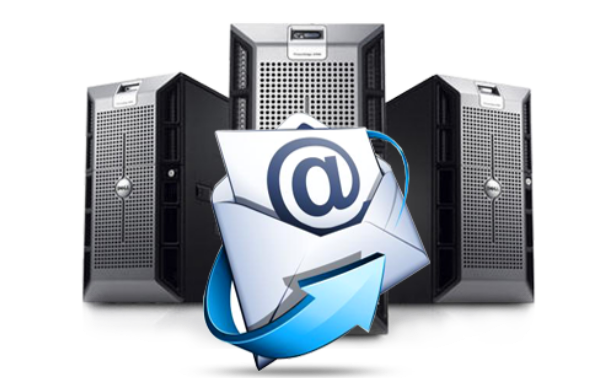 Depending upon the specific customer requirement, email service providers go ahead and customize the storage space. ◈ White-Label Email Hosting: With a white-label email hosting, you can use your own logo on the email account. This helps you to use your own brand name on the email account. Most of the businesses prefer a white-label email solution for their businesses as they don’t want their users to know about the parent service provider. White-label email solutions help you keep the identity of the service provider private and allow users to use their own brand name on the emails. ◈ More & Better Features: Professional mail accounts give you many more features and benefits than a free email service. For example, a free email account might not allow you to customize the mail box size, while a professional mail account like our Bizmail service will allow you to customize your mail box size according to your needs. Professional mails give you specialized features for your professional usage, like mail monitoring, or mail grouping that a free account won’t give. The business email solutions for bigger enterprises- the enterprise email service even give the feature of shared contacts, calendar and task with backup and recovery of delete trash mail. What more, you can even customize business email service as per your needs when you use paid email server hosting service.